Not much call for this but this was asked on the other forum. On a loop divided into blocks,a train immediately ahead would be a red signal. A train 2 blocks ahead would be a yellow signal. If both blocks ahead are unoccupied a green signal. 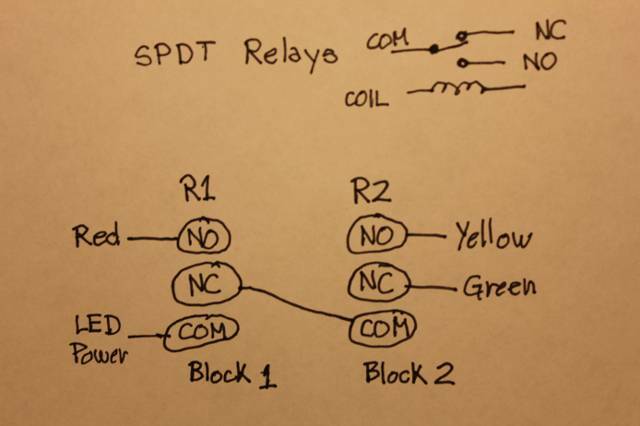 If a 3pdt relay is used,shown in the diagram on each block, a complete block system can me made with a block signal for each block. 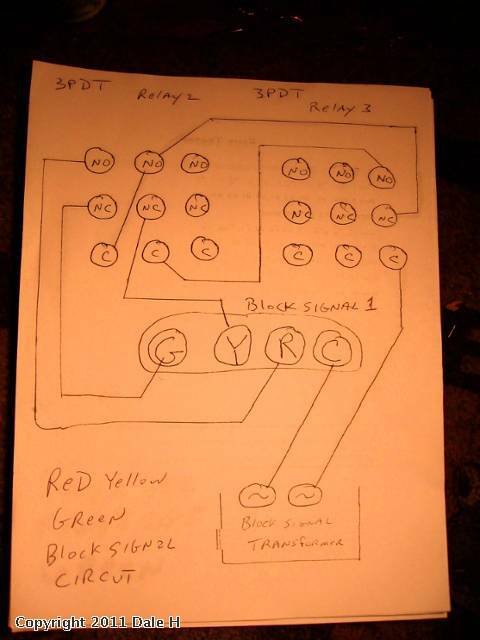 For just one signal a SPDT and DPDT relay is needed. The coil circuit is not shown and is made by the insulated rail method. 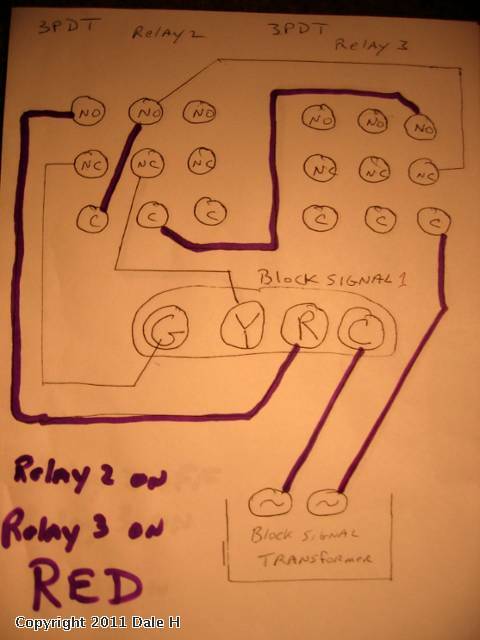 See my post "How to use relays for 3 rail block detection" for that wiring. 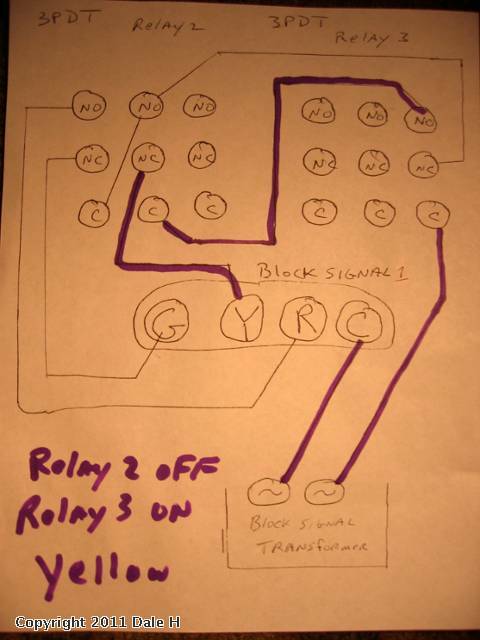 Here is the circuit in operation. 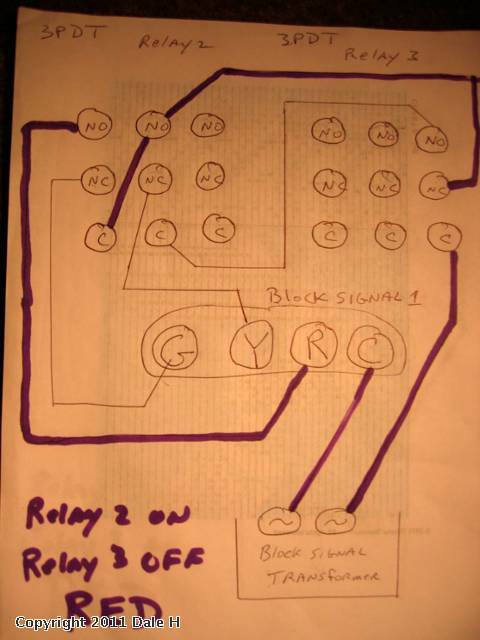 Relay 3 is 2 blocks ahead,relay 2 is one block ahead of the signal on block 1. The train is moving in the direction from 1 to 2 to 3 etc. 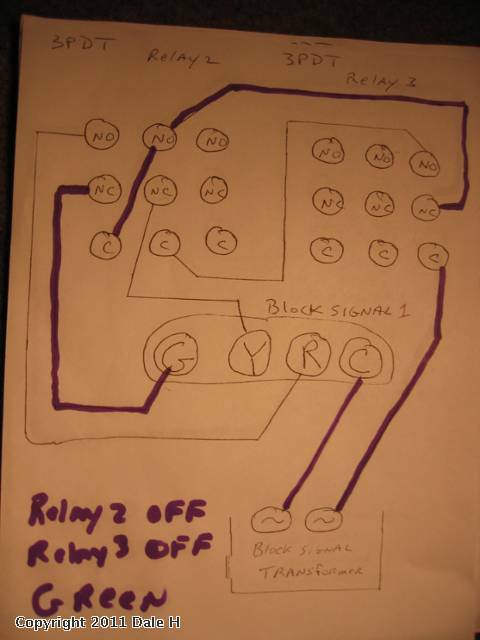 I think this is great, using relays seems like the old school approach to model railroading. That in itself seems prototypical to me. Red = Block 1 occupied. Yellow = Block 1 clear and Block 2 occupied. Green = Block 1 clear and Block 2 clear.